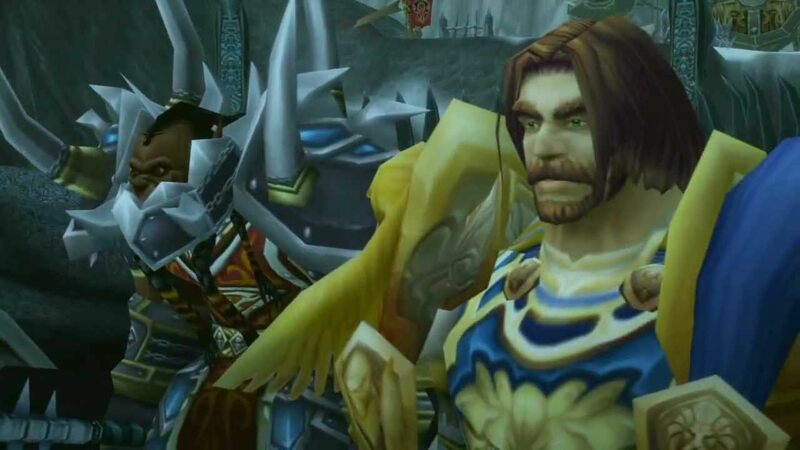 The Wrathgate being under Sylvanas’ orders, rather than part of Burning Legion aligned coup that followed, hugely changes one of the most beloved moments in WoW’s history. Is this a misunderstanding? It wouldn’t be the first time Alex Afrasiabi misspoke during an interview. Or was he correct? It’s not the first time Blizzard’s suggested Sylvanas had more to do with the Wrathgate than she let on. I’ll be looking into the implications behind this and various theories below. I hate being negative. I especially hate it with just how toxic the community has gotten on places like MMO-Champion, the story forums, or Reddit. However the Darkshore questline, as it exists on the 8.1 PTR, has such bad writing feel I need to bring the issues with it to light. When I say bad writing, I don’t mean the normal “I dislike the story they are telling and/or believe the plot decisions and characterizations are bad,” bad writing, which is always to at least a partial degree subjective. I mean the writing is bad in a structural, mechanical sense. The quest text and spoken dialogue is completely at odds with what’s being shown. This is mostly the case for the Alliance quests, but the Horde version has issues as well. Originally I intended to release this after 8.1 goes live, as there are at least three missing cinematics which could provide some context. After some discussions on twitter, I’ve become convinced that releasing this now would be more useful. I doubt there’s enough time for Blizzard to implement any feedback on these quests, much of the voice acting is done and that’s typically the last thing they do once everything else is locked in, but perhaps it could be helpful input for future content. Let’s dive in. Warning: the following contains heavy spoilers for Patch 8.1. Since its introduction in Warlords of Draenor, the mission table has been one of the most contentious features in the game. In fact, for both Legion and Battle for Azeroth, developers have mentioned in interviews that they heavily considered scrapping the system only to keep it around anyway. But in Battle for Azeroth, the mission table has a greater purpose, one that at least to lore fanatics, will be invaluable. Recent datamining from WoWhead and MMO-Champion revealed the text for most of level 120 missions, and instead of just being based around stuff we did while leveling, these missions reveal how the war is progressing in the Eastern Kingdoms and Kalimdor. It’s essentially a way to keep the old world’s stories updated without having to do a Cataclysm-style revamp. Read on past the jump to see what these new missions reveal, some of the stuff happening in EK and Kalimdor is pretty out there! After that pessimistic last article of mine, I feel it would be a good idea to discuss something more positive. So let’s take a look at one of Battle for Azeroth‘s most interesting features, the Allied Race system. Essentially a way to add playable races that would otherwise be too similar to existing ones opens the door to many potential races I would never have thought to be made playable. Then there is the fact that Blizzard said the six allied races coming are just the beginning. It’s unclear, at least to me, whether they meant additional allied races will be added during Battle for Azeroth‘s patch cycle, or if allied races will be something we can expect as a core feature of any future expansion like new regular races or classes. Either way, there are a tons of potential candidates worth speculating on. So read on past the jump to see my predictions for what allied races we could see in the future. I’m super-hyped for Battle for Azeroth. Just from the short demo of Nazmir at BlizzCon, I can see that Zandalar is everything I’d ever hoped it would be. Add on finally getting to visit Kul Tiras, the allied races, more story and development for faction leaders like Jaina, Saurfang, Baine, and Genn, and more old world updates (though it sounds like they’ll just be phased scenery like Theramore, but still I like seeing the world change and evolve) and this is looking like a pretty great expansion. So why I am so worried that it won’t be? However we’re not here to talk about Zandalar or Kul Tiras today. As I’ve mentioned on twitter, the BlizzCon demo for Battle for Azeroth also hid some very surprising updates to Stormwind and Orgrimmar. Each city has had a new district added, with some very surprising lore developments included within. It goes without saying that this post includes heavy spoilers for Battle for Azeroth. So read on at your own risk.